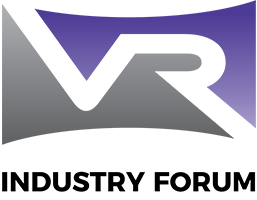 LAS VEGAS, Nevada — January 5th 2017 — At CES in Las Vegas today, 28 companies announced the Virtual Reality Industry Forum, Inc. (“VRIF”), a not-for-profit company with its purpose stated as, “To further the widespread availability of high quality audiovisual VR experiences, for the benefit of consumers.” The Founding Members of VRIF are Akamai Technologies, ARRIS International plc, b<>com, Baylor University, CableLabs, Cinova Media, Dolby Laboratories, DTG, DTS, EBU, Ericsson, Fraunhofer, Harmonic, Huawei, Intel, Irdeto, Ittiam, MovieLabs, NABPILOT, Qualcomm, Technologies, Inc., Technicolor, TNO, Sky, Sony Pictures, Vantrix, Verizon, Viaccess-Orca and Orah. The Forum has grown out of a series of informal meetings, initiated by the DTG, and held over the past 12 months, which involved over 200 people from a large group of companies. The group discussed how to advocate consensus around industry standards for the creation of an interoperable, end-to-end ecosystem presenting high quality audio-visual VR services. These are services where users can experience audiovisual content, live or on-demand, through VR headsets but also on traditional “2D devices” such as tablets. Describing and promoting the use of VR services and applications.